CPU Grab Ex is a portable tool to stress your processor and see how your computer behaves when the CPU is stressed. The program allows to set a different level of usage through a slider and displays real-time information about the current usage of each CPU. 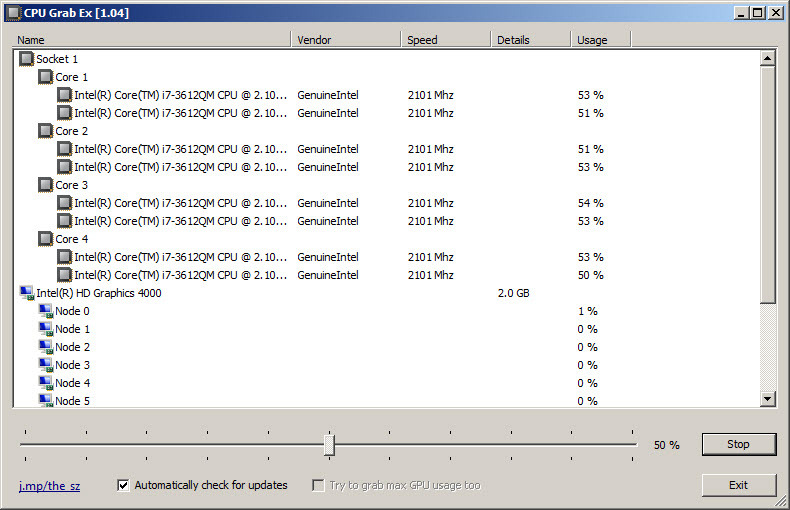 It displays info about the CPU configuration, vendor name and speed. You can stop the process anytime. The app is very useful to see if the CPU makes noise under high usage conditions. CPU Grab Ex is available as free download for Windows 32-bit and 64-bit.